News > Monkey Business 4.01.08 Release - upgrade today! Monkey Business 4.01.08 Release - upgrade today! 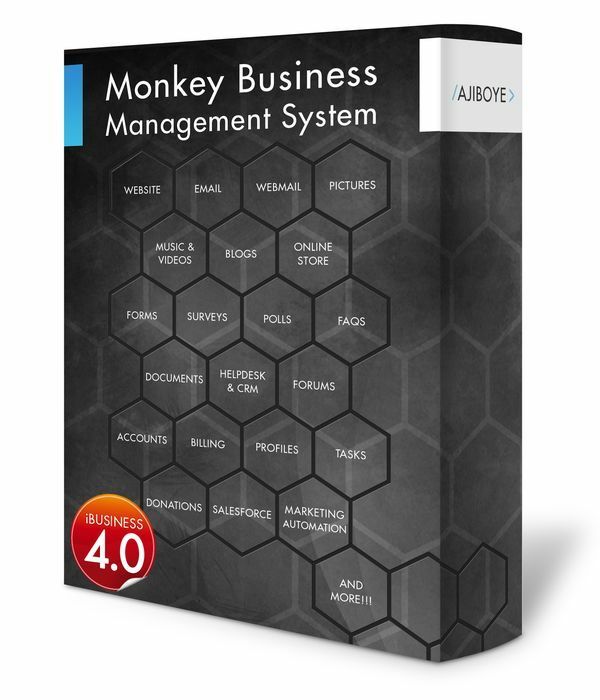 Greenwich, CT — Sunday, January 15 2017 — AJIBOYE Monkey Business Agency is pleased to release Monkey Business 4.01.08. Email Marketing: Support for custom fonts and responsive design in HTML messages for modern user-friendly email marketing. Website Settings: Configure and activate Bing Webmaster Tools in the Social panel. Website Settings: Social panel now renamed Connect, better reflecting the options in that panel. Fixed a bug introduced in the calculation of amount for the balance invoice for a partial payment made with virtual currency by the recent switch away from marking virtual currency payments as credits/discounts.